The name “Veda” literally means “knowledge”, and derives from the root vid, “to know”. Thus, when we speak of Vedic culture, we refer to a tradition that honors knowledge as the very foundation of everything and the solution to all problems and needs. Until rather recently – in the times of Greek philosophers Pythagoras and Plato – all those who wanted to acquire knowledge flocked to India, by sea or by land, to study in its great universities and learn everything from philosophy to medicine and mathematics. Alexander the Great went to India to conquer lands and returned west with a much greater treasure of books, and he was so impressed by their contents that he established the greatest library and university of the Mediterranean region, and built a new city around it, naming it Alexandria after himself. The library of Alexandria is said to have had over 800,000 volumes, with a permanent staff of 40 translators that rendered the Sanskrit texts into Greek, and a number of teachers – the last one was the famous Hypatia, horribly killed by the Christians when the library and university were destroyed during the darkest age of Europe. 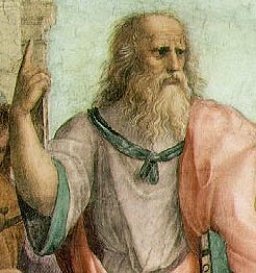 The name “academy” derives from the Greek akademeia, the school for advanced education founded by Plato, and according to the dictionary, in contemporary English the definition applies to “a body of established opinion widely accepted as authoritative in a particular field”. This is the first and most fundamental point of difference between the Vedic approach and the contemporary academic approach. Those who are familiar with the Vedic system in theory and practice have understood that knowledge is not a matter of opinion – even if the opinion comes from people who are officially considered authorities. Knowledge is the verified experience of reality, taught by a qualified and expert person to a qualified and sincere student, through a process that encompasses both theory (jnana) and practice (vijnana). This is the basis of the scientific process of acquiring knowledge. The Vedic system is based on direct realization – an attainment that is gauged from the personal expression and behavior of the individual. These are the criteria by which a student should choose the teacher, freely and independently, without interference or censorship by third parties. Each individual teacher was free to accept or reject students, on his own responsibility and evaluation. This relationship between guru and sisya is widely illustrated in all the Vedic texts, and encompassed all fields of knowledge, material and spiritual. 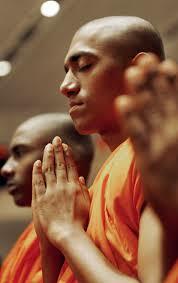 The enormous success of the Vedic system was due to its flexibility and freedom of expression. We could call it a “grass-root” system, because any brahmana was free to open his own village school and teach that same knowledge that he had learned from his own teacher in the same manner. This gurukula system was solely based on the personal realizations and skills of the guru, and was open to all the students that the guru was willing to accept, from all social classes. 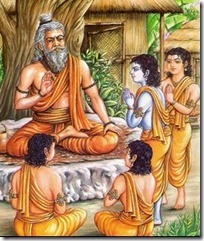 By watching, testing and training his students, the guru could ascertain the guna (talents) and karma (tendencies) of each student and officially recognize him as a potential or effective member of one of the four varnas (professional categories) of Vedic society: brahmana (intellectual, teacher), kshatriya (warrior, administrator), vaisya (entrepreneur) or sudra (craftsman, ordinary laborer), and train him accordingly. The guru‘s order and authority was absolute in his own right. A student was also entitled to approach other gurus after completing the basic course of studies with the first teacher. 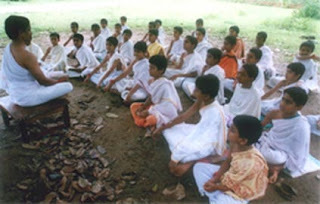 In fact, this happened rather frequently with brahmana students who graduated brilliantly in the basics taught by ordinary local village teacher and were eager to learn more from famous brahmanas who lived in other regions, either in their own hermitages or in scholars’ communities called sasana villages. The relationship between guru and sisya remained good even after the completion of the course of studies, when the disciple offered gifts to the teacher as a demonstration of gratefulness, and moved out of his gurukula to start his own family life. However, it was not a dependent relationship based on some sort of ideological allegiance, because each student was inherently independent in his own realization and in the direct access to the original Vedic texts. Further personal research and progress was not discouraged, provided the results and conclusions were verifiable and in harmony with the larger corpus of knowledge constituted by the Vedic texts and especially with the universal and eternal principles of dharma. Differences of interpretation were considered mere perspectives (darshanas) of the same factual and objective Reality, useful to visualize a multi-dimensional projection, and not competitive ideologies that were mutually exclusive. A “better truth” was therefore a vision that was able to encompass a greater number of perspectives, reconciling the apparent contradictions in the various other projections. This is one of the most important characteristics of the Vedic approach as distinct from the “modern” academic approach, where the debate between ideologies is considered a sort of war, where the “better truth” successfully defeats/ destroys the “opposite camp”, or where the very concept of Reality is defeated/ destroyed in a general undergrowth of theories and opinions, all equally fabricated and all equally devoid of actual value. The Vedic approach did/ does not care for ideological allegiances, because truthfulness (satya) was considered the highest dharmic principle and the very foundation of Reality (sat). A statement needed/ needs to be true and valid in itself, irrespective of the person who presented it, because in the Vedic approach, knowledge is primarily considered the realization (practical understanding) of the nature of the Self (atman/ brahman), the principle of consciousness that is the foundation of all existence and cognizance. 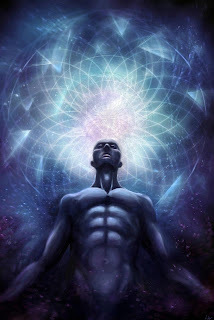 These reforms were meant to be temporary and aimed specifically at reintroducing the authority of the Vedic knowledge; they were social devices only and not a permanent modification of the basic Vedic system of acquisition of knowledge, that remains eternal and universal.The concept of a structured religious/ spiritual organization that controls the transmission of knowledge can be compared to a particular medicine meant for a specific condition only. If we misunderstand the purpose of the medicine, and accept it as the basic staple food or diet in all circumstances, we are making a serious mistake. A medicine can also be a poison, if administered in the wrong circumstances and without the supervision of a genuinely qualified doctor. It is important to understand that the concept of structured religious/ spiritual organizations (“schools of though”) that control the transmission of knowledge is nowhere to be found in the original Vedic system. If we accept it as the foundation of the Vedic approach, we are making a dangerous mistake, because in the absence of a genuinely qualified guide, it can be exploited by unqualified people to confuse spiritual power with material power and manipulate people for political purposes. 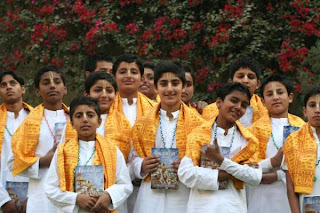 In the Vedic system there is an extremely clear distinction between the duties of the brahmanas and the duties of the kshatriyas: the brahmanas teach and advise, while the kshatriyas protect good people from all acts of violent aggression.This division of tasks in society ensures the greatest freedom of thought and expression, and at the same time it guarantees the safety and protection of good people. 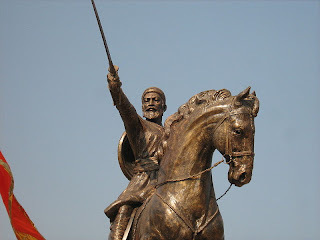 A kshatriya would never even dream of enforcing a particular religious ideology on the people, and a brahmana would never even dream of forcing people to accept or practice a particular religious ideology. 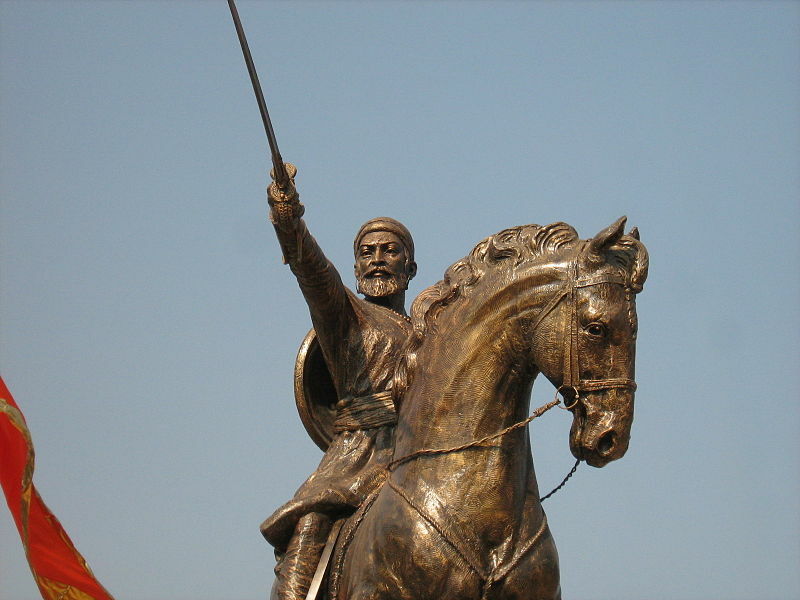 Kshatriyas only fought against aggressors – individuals or group that physically attacked innocent people – and brahmanas would never take a government position for themselves or try to enforce rules of conduct to society in general. In extreme cases, brahmanas would come to the point of deposing or eliminating an unworthy king, but then they would never take his place. Therefore, people in Vedic society were always free to make responsible choices for themselves in the matter of acquisition of knowledge, ideology, personal morality and so on. Each individual was considered responsible for himself, and the educational system also followed the same logic. No kshatriya or government would even dream of restricting or controlling the transmission of knowledge, and even among brahmanas, the only social organism was the assembly of the brahmanas, that hosted learned discussions and in exceptional cases voted on ostracizing a member of the brahmana class that had disgraced himself through seriously adharmic behavior. Ideology was never an issue: still today, tradition recognizes the legitimate existence of 6 astika darshanas (“perspectives following the Vedic version”) and 3 nastika darshanas (“perspectives not following the Vedic version”), namely the atheistic materialism of Charvaka, Buddhism and Jainism. These nastika darshanas were not banned or persecuted in any way. They were normally challenged through the typical public philosophical discussions that helped people to improve their understanding and knowledge. Such debates were not permanent wars between ideologies, simply because there were no established camps for “allegiance to ideologies”: the very idea of deliberately choosing one side in a partisan way, irrespective of the validity and truthfulness of the specific subjects discussed, was considered nonsensical. Each and every teacher and student was individually responsible for his own understanding and realization of knowledge, therefore there were no “mathas” in the ancient Vedic system. Exceptionally, a brahmana student could choose not to marry and to remain as brahmachari in the family house of the guru as his assistant (naistika brahmachari) and adopted son, and sometimes he would be appointed as the eldest son and successor of the guru if circumstances required it. In that case, he would accept a wife and continue the family tradition of the guru. 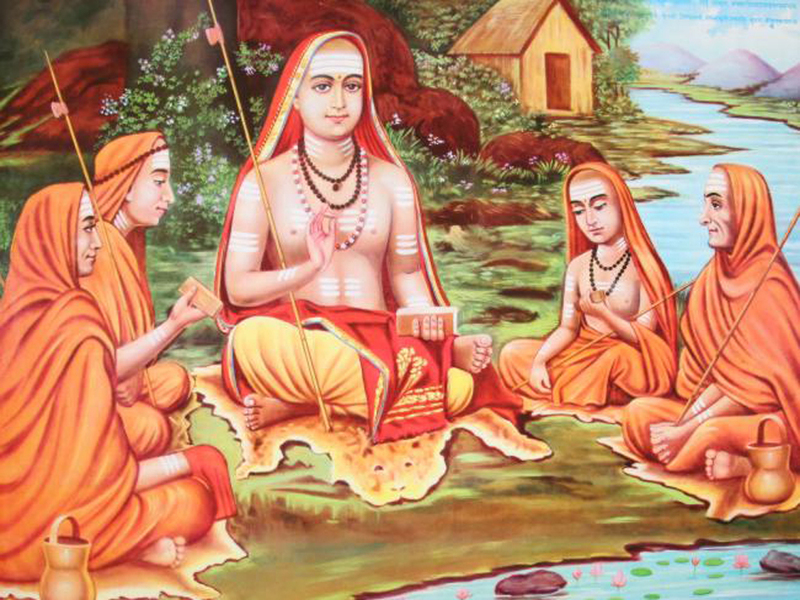 Otherwise, upon the passing of the guru, such brahmacharis would become sannyasis. In Vedic tradition a man needs to be married in order to perform his religious and social duties, including the duty of teacher or guru. The guru had a wife, otherwise there would be no meaning to the prescription of considering the guru‘s wife as one’s own mother. 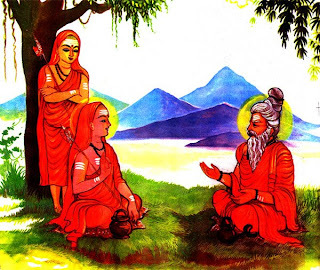 In the original Vedic system, no sannyasi was supposed to become a guru and accept disciples; in fact by reading the sannyasa Upanishads we see that a sannyasi was not supposed to have any interaction with other people at all. The position and duties of a guru entail a great deal of responsibility, because the process of teaching is based on example and not only on precept. A genuine guru must be the living example of dharma and knowledge in all his activities, public and private, and above all, in all his personal relationships – as relationships are the ultimate test bench of a person’s actual realizations. The “family environment” of the gurukula was extremely important because the teacher was able to observe and train his students in the matters of everyday’s life, verifying their character, ethical principles, personal qualities and attitudes in a variety of occasions, and conversely the students were able to observe the practical application of the teachings in the guru‘s daily life. We could therefore say that the Vedic system of acquiring knowledge was deeply wholistic and personalized, and favored worthy, intelligent and sincere students more than the ordinary individuals. The rise of Buddhism was a major paradigm shift in this process. The followers of Buddha gathered around his particular figure and ideology, that rejected the authority of the Vedic system and replaced it with the sangha (“the company” or “ideological group”). This drastic step greatly reduced the personal relationship and responsibility of the guru towards the disciple, as the teacher simply became the representative of the Buddha and the sangha, that became the permanent authorities on the acquisition of knowledge. 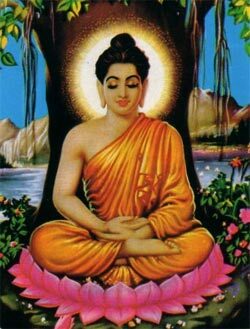 Buddha himself was presented as “the savior” of the sinners, and elevated to the level of divinity especially by the mahayana sect – a model that was successfully exported and became the basis for the development of Christianity. Knowledge itself lost its inherent value and importance, because the foundation of the Buddhist ideology denied all existence – material and spiritual – and preached that after the dissolution of illusion and delusion, only nothingness remained. This doctrine presents the material universe as a mere illusion, devoid of any real value, and creates the unhealthy dicotomy between spirit and matter, that was absent in the original Vedic system. As a consequence of this separation, the individuals and the community become vulnerable, because both the violence perpetrated by a criminal aggressor and the protection from such violence are seen as simply illusory and non-existent. As long as everyone behaves properly, this perspective is excellent as it favors detachment, but the arrival of criminals cannot be faced effectively without introducing the idea of necessary hypocrisy and the deliberate choice to abide by illusion and ignorance by considering the violent aggression as factual reality rather than mere illusion. This “grey zone” occupied by kings and governments was tolerated as a necessary but temporary material contamination, to be purified by the active work of proselytization and sectarian support of Buddhism, as we can see from the activities of Ashoka and the other Buddhist kings of Indian history. Although widely based on the same fundamental concepts – reincarnation, karma, dharma, and scientific verification of knowledge – Buddhism rejected the Vedic social system based on the varnas and ashramas, and simplified it into two categories only: the family people and the renounced people (or monks). Family people were living in the illusion of material life and were therefore expected to (ignorantly) take care of material pursuits, while renounced people had overcome the illusion of the material world and were therefore totally detached from it. This is where the idea of sannyasis in the position of guru started: it was a Buddhist innovation, just like the idea of a doctrine (as ideological position or choice of faith) as being more important and valuable than actual reality (which, according to Buddhism, does not exist anyway). Therefore, as a logic consequence, only renounced people (celibate monks) were considered worthy and qualified to teach, even though the knowledge they were teaching was to be considered as mere illusion. 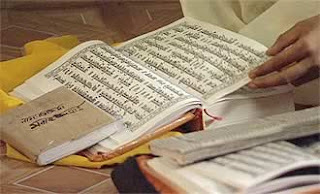 The increasing number of celibate teachers favored the creation of scholastic communities that could be called monasteries, where the students of all teachers lived together and were only subject to the general discipline of the institution rather than to the personal training of the guru of the vedic system. Teachers also supported each other and worked together, under the general management of a senior monk, called acharya or in western terms, “abbott”. In the original vedic system, acharya is a title for a guru that has established a prominent or famous “perspective” on Reality, mostly by writing his own commentaries to the original Vedic scriptures starting from the prasthana traya: Bhagavad gita, Upanishads and Vedanta sutra. In the Buddhist system, the concept of acharya becomes distorted into the figure we know today as the “principal” of a school, who directs and disciplines the ordinary teachers under him. Still, the political contamination involved in the new system was relatively ,modest, and only applied to the prestige of the individual teachers in the institution, based on seniority, knowledge and teaching skills. However, since the personal relationship between guru and sisya was severely weakened, these Buddhist universities developed by accepting students without much discrimination, which explains the enormous success with foreigners from the Mediterranean region, who literally flocked into Nalanda and the other monasteries. 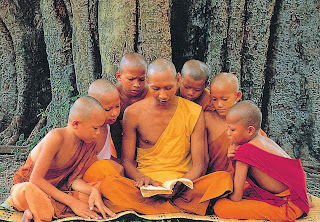 As in Buddhism a student accepts the monastic vows only temporarily and in a rather slack manner, anyone could remain in the university-monastery for the time required to acquire the desired knowledge, and then leave without maintaining any further contact with the teachers, and without being expected to continue with the religious vows of a student. The emphasis moved from the personalized 360 degrees training of the individual student and became focused on the value of knowledge in itself, that could be available to anyone irrespective of their sincerity, qualifications and motives. 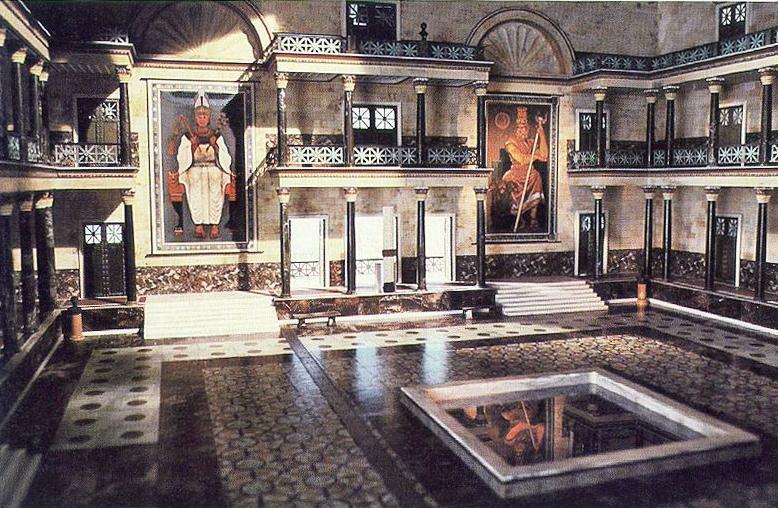 This was the Indian model acquired by the Greeks, and on which the famous library-university of Alexandria was established, and Plato (Alexander’s tutor) got his idea for his new akademeia establishment back home in Greece. n the western world, the cultivation of knowledge soon became a means to acquire and utilize power in society. Wealthy people could afford attending academic schools, and knowledge itself became a prized trophy that gave refinement and respectability to those who flaunted it in society, and enabled the “best” individuals to increase one’s wealth and gain power on society and community (aristocracy from aristos, “the best”). This was the first foundation for the system called oligarchy, “government by the few” (oligos), described by the dictionary as “a government in which a small group exercises control especially for corrupt and selfish purposes”. Under the original gurukula system, this development would have been impossible, because the guru had the independent power to reject a student who had corrupt and selfish purposes, so unqualified individuals would never be allowed to attain a position of power in society. The social degradation caused by unqualified – selfish and corrupt – leaders was the fundamental weakness that exposed western civilizations to ruin, starting from the spreading of the new Buddhist system of learning. The ancient indigenous teachings of direct Vedic origin, that were based on initiation (i.e. on the direct responsibility of the teacher towards the student) were gradually pushed into secrecy and came to be called mysteries (from mystos, “keeping silence”). There were many such secret schools in Europe – not only in the south as in Greece and Egypt, but also in north as in Britain, and their influence was carried more or less genuinely by the secret groups cultivating gnosis, alchemy, and mysticism of various kinds. However, the adepts of such initiation cults were always a very small minority. The vast majority of the population in the west lived and died in societies where knowledge had become a material asset for the wealthy and powerful classes, and was used to expand one’s influence and prestige. 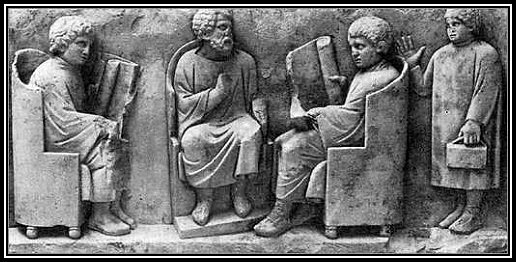 After conquering a weakened Greece, the ruthless Romans kept “Greek tutor slaves” to teach “culture” to their children, including Greek language and philosophy: the relationship between teacher and student had been completely reversed in comparison to the ancient Vedic system. The social and cultural degradation created by this disastrous mentality built the foundations for the spreading of Christianity, according to which, knowledge and culture and personal qualifications have no meaning, because allegiance to God (through Jesus, in their specific case) is the only requirement for perfection. Practically all early Christians were a mass of low class ignorant people, full of envy and hatred towards all forms of knowledge and culture, which they identified with the aristocracy that controlled society. 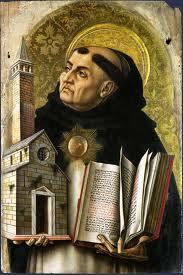 Only later the “Fathers of the Church” started to write books, and when they did, they only concerned themselves with theology and canonic law – like the first great “Doctor” (a Latin word meaning “teacher”) Thomas Aquinas, who established that animals did not have a soul at all, and women only had half a soul compared to men. Despised and mocked by the intellectuals of the previous civilization, Christianity appealed to the ignorant masses, fueling their hunger for rebellion and violence with the idea that Jesus was the only legitimate King and his kingdom would soon be established everywhere, provided that his loyal followers had properly “purified” the world – by destroying everything that could not be made “Christian”. The result was a practically complete destruction - tabula rasa - of all the previous system of education and culture, and the rejection of all contacts with “pagan” ideas, including of course Vedic civilization. The entire western region (covered by the ancient Roman empire, now christianized) became isolated from the rest of the world for at least 800 years of complete darkness, and devoid of any academic system, education or culture. In the second part of the article, we will examine how the present “western” academic system was later created and shaped by the Church of Rome, and how its approach fundamentally differs from the Vedic approach. In the third part of the article, we will analyze the “secularization” of the western academic system and its effect on the present globalization trend, as opposed to the original Vedic idea of global culture.